I can't believe we finished this before the end of Halloween night! 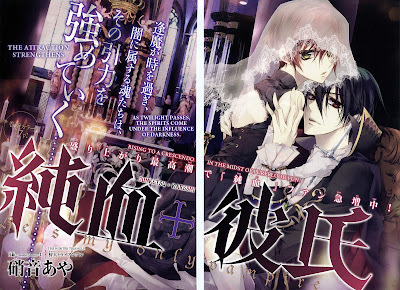 It was such a joy translating and editing the images in the chapter :). I love handling beautiful drawings! I couldn't redraw the intro color 2-page spread, but I did redraw/extrapolate the gap between the pages of a very important scene. All hail the mighty PhotoShop Pen Tool! 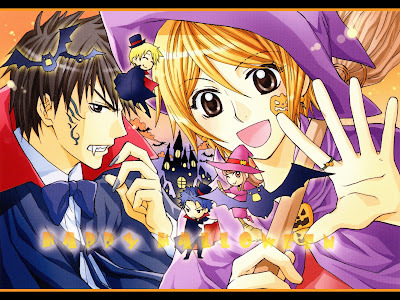 Anyhow Happy Halloween! I don't know what to make of the ending, but I'm guessing this is the end of the "prologue" and now we get into the meat of the story. I wonder who's gonna go ape-sh** in chapter 5 after such a threat? Will it be Kana, Aki, or Shiranui? Personally, I hope it's Kana. But I guess we'll just have to wait and see in Chapter 5. Next up is "Magnolia." Ahhh, yes, "Lover Boy" moves quickly...and I'm sorry to report, that we will not fully find out the answer to the question in the poll because Lover Boy is just too intoxicating and hogs the entire chapter. So, we'll have to wait until chapter 5 to see how that bomb drops. 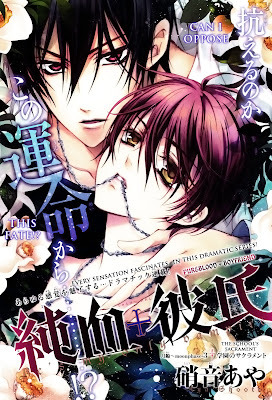 But, I like Lover Boy, so I'm looking forward to translating the chapter. The good news is that "Pika Ichi" diverges from the pattern I was detecting and quite possibly could be a short series. We will add it back to this month's schedule. Link to Purchase Aria 12 from Amazon Japan. 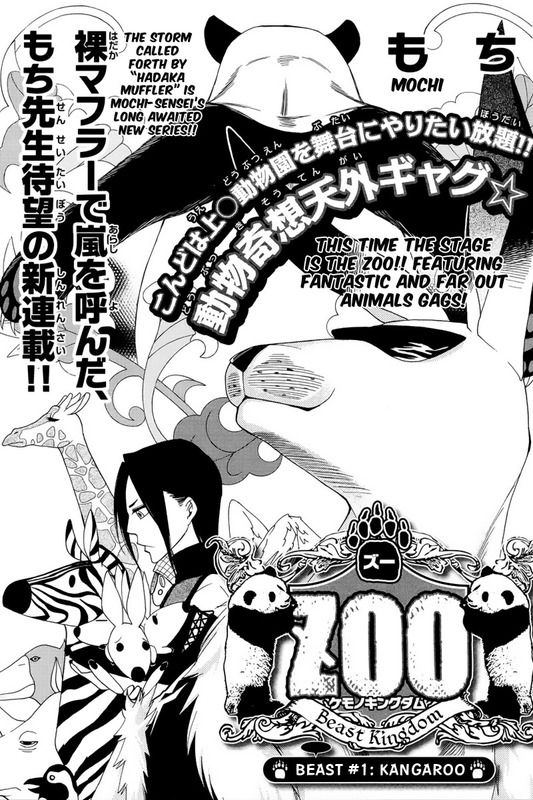 New Series: "Kemono Kingdom: Zoo"
When I first saw this, I thought it was a one-shot like "Hadaka Muffler." But, unexpectedly, at the end, there was a つづく and a message that the next chapter would appear in the January the issue of Aria. So...I guess as long as the series isn't monthly and sticks to 24-pages per chapter, we can keep up with it. Oh, and no, this isn't the "Pika Ichi" replacement. Next up is "Junketsu + Kareshi" chapter 4. You MUST Buy Betsuhana 12! If you love "Shitsuji-sama no Okiniiri" then you MUST buy Betsuhana 12 for this premium freebie! It is 7 x 10-in, 16-pages, and printed on thick semi-gloss (nicely calendered) paper. Also, a lot of the book is in English. 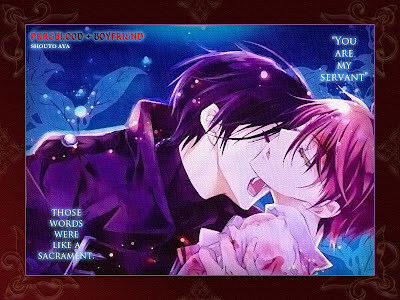 Hmmm... Why couldn't Hatori-sensei give us something like this for Ouran!? Link to purchase Betsuna Hana from Amazon Japan. I'll put up another link to Akadot once the magazine is in stock. I will make some wallpaper from this book for the winter holidays :). I have Asuka 12 and yes, Miyagi Tooko is starting a new series in Asuka 1/2011. She and another artist/writer are doing yet another retelling of "The Story of Genji." So...I guess after chapter 6, I'll count "Seirei Produce" as complete. 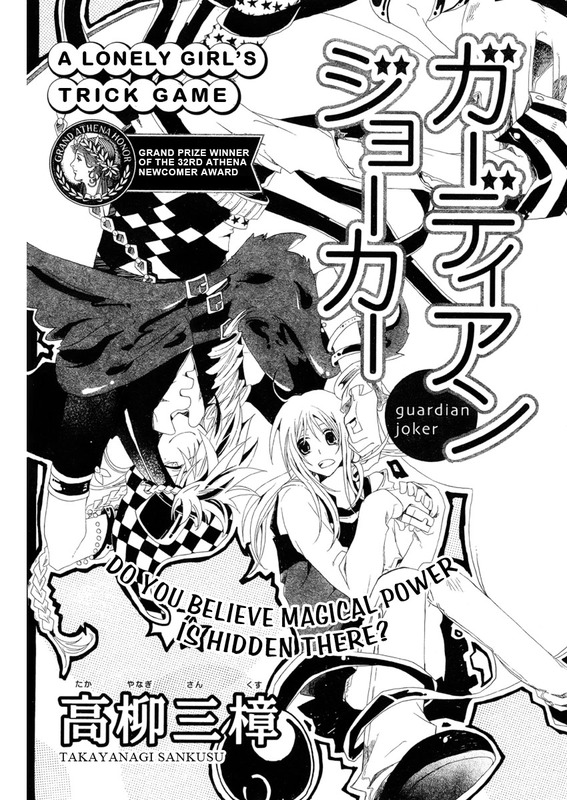 Halloween Special Feature #2: "Guardian Joker"
While waiting for Aria 12, I will be working on "Kemono Kingdom: Zoo" and "Orange Chocolate." I may be able to eek "Zoo" out before I get the magazine. If not, then early next week expect "Junketsu + Vampire" chapter 4 followed by "Magnolia" chapter 4. Halloween Special Feature #1: "Furou Kyoudai"
The second of our Halloween special one-shots, "Guardian Joker" will be released very soon. Favorite New Series Poll Results and "Pika Ichi"
I'm not surprised that "J+K" won by a wide margin. However, I am surprised at how closely "Magnolia" and "Pika Ichi" are. The main reason I put out this poll was to gauge "Pika Ichi." I felt the first two chapters were great, but I was greatly let down by the third chapter and I see a very mediocre and predicable path ahead for the series. My mentality always seeks what's optimum, so if it's not working for me and the other group members, and, I see a better opportunity, I'm inclined to go for for new opportunity. And so the question for me is whether to continue along with "Pika Ichi" or take a chance on another series? I do have another series in mind and it's one with more action and intrigue. At the same time, though, I hate to subject the readers of this blog to my whims. The ideal solution would be for us to pass "Pika Ichi" off to another group who feels passionately about the series. If you belong to or know of another group that would like take over "Pika Ichi" please contact me via the "Contact" link at the top of this blog. In the mean time, we will continue "Pika Ichi," but the release schedule will not be as regular. No word on "Seirei Produce," though from her website, it looks like the mangaka is starting a new series... =_= uh...huh?...Well, I'll find out when I get Asuka 12 on Tuesday. If it is, indeed, a new series, then I supposed I will put "Seirei Produce" in the completed column and move on. 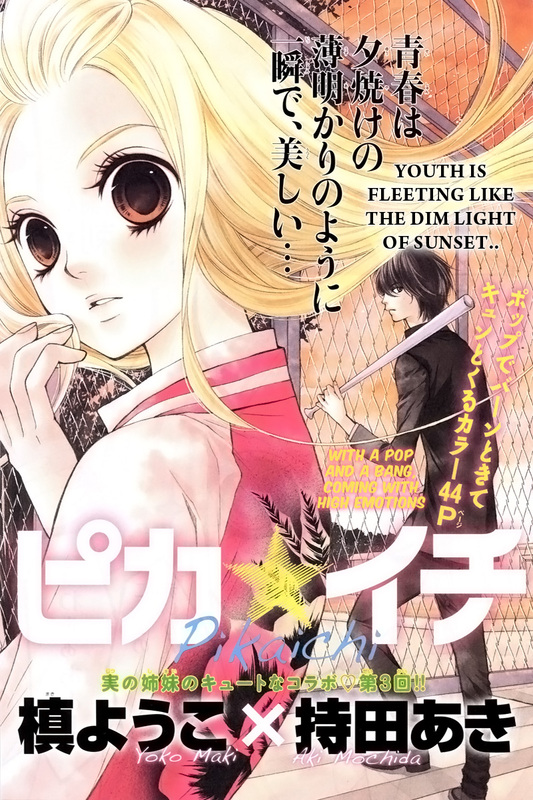 "Kimi ni XOXO" will Return in November! "Kimi ni XOXO" will resume in Lala 1/ 2011. It will be released in Japan on November 24th. Here's Akagami no Shirayukihime" chapter 21! I like the dungeon crawl in this story and the interaction between Shirayuki, Prince Raji, and Obi. Izana is his usual wonderful cynical self. Re-posted as a reminder to everyone so you understand why your comment was rejected. If you want a manga raw, then buy the magazine or the tankoubon! There is no magical raw manga website. I don't like making rules like these, but I've just received one too many comments of this nature. If you are really in a bind, please send an e-mail instead so I can address your matter one-to-one. Again, I want to stress that I understand your frustration. I am frustrated too. I think we all need to be patient and productive and understand on a fundamental level that "free" is not a viable business model. If you really feel passionate about matters, write the publishers and let them know your thoughts and give them some productive suggestions. Let's all work towards a solution in which everyone can get the manga they want in an affordable manner that adequately compensates all involved in the creative process. Christmas/Winter Holiday One-Shot Suggestions Wanted! I also have some of the furoku comics books that are holiday themed. Here's "Pika Ichi" chapter 3. Hopefully, this series is not settling into a pattern. Hopefully, things will get shaken up a bit in chapter 4. I would like to see some deep meaning to Dougen's actions other than he's just mean and controlling. Question to you all: Is the girl at the end sincere or a "honey trap?" 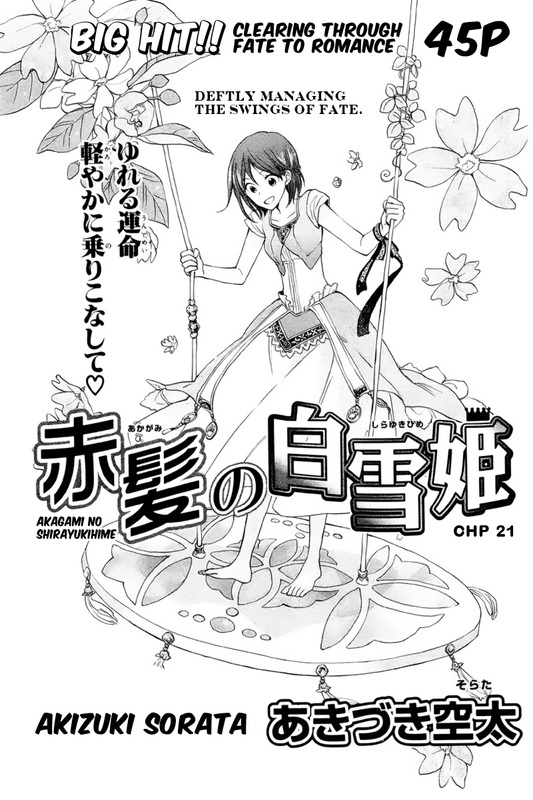 Next up is "Akagami no Shirayukihime" chapter 21 followed by the first chapter of "Zoo: Kemono Kingdom." Aria 12 is on order and should be arriving in my hot little hands on November 1. 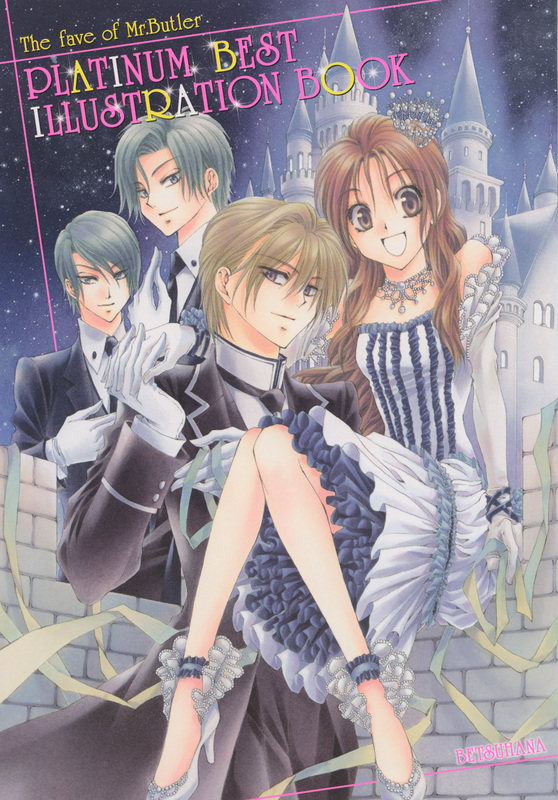 I'm also looking forward a batch of new one-shot possibilities from "The Hana to Yume" magazine which will be arriving with Aria 12. I went back and checked on the origins of Anna, Joshua's wife. Well I confused "anna-sama" -- that high society person way over there which I took to mean Josuha (a complete brain fart -- it truly makes no sense that way) -- with Anna-sama -- a high society women named Anna. UGH!!!! I'm so sorry!!! And I'm terribly embarrassed! So... with one confused word, Anna's whole back-story disappeared. 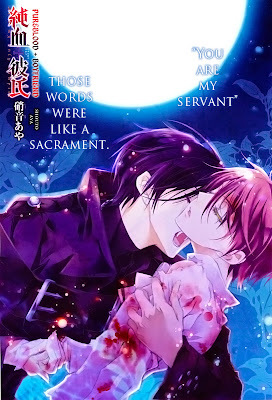 Anyhow...I corrected it and uploaded a new version of chapter 15. Here's a convenient place to get Omari's Sister's desktop wallpapers! This website conveniently generates the wallpaper in many sizes. Hopefully, you'll find one that fits your needs. Link to Kuroneko003 portfolio on The Otaku. I also added this link to the far right had side bar under "Desktop Wallpaper." Someone requested another ZHD wallpaper...I'll see what I can do about it ;p. I can't promise anything, though. 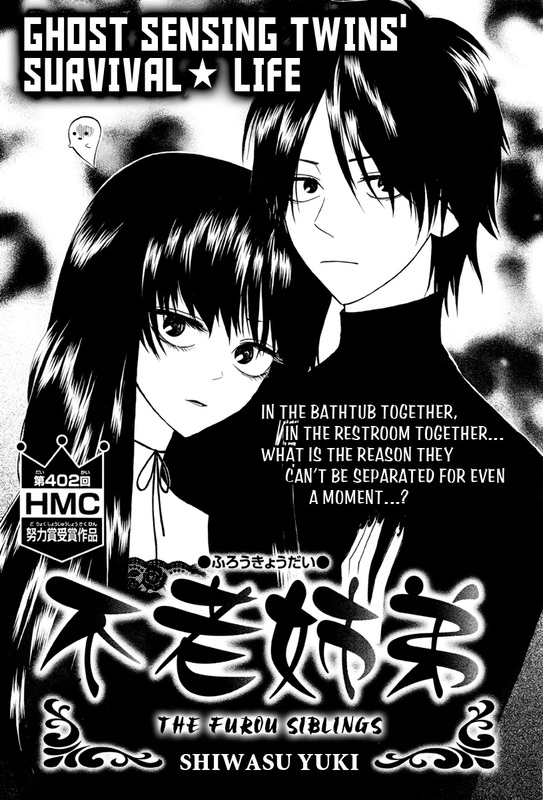 Here's the final chapter of "Zettai Heiwa Daisakusen." Thanks for sticking with me on this one. I started translating this series at chapter 4. Back then I was just doing summaries. I'm sad to see this series end, but at the same time, this is great ending. I'm looking forward to Ogura-sensei's next series! 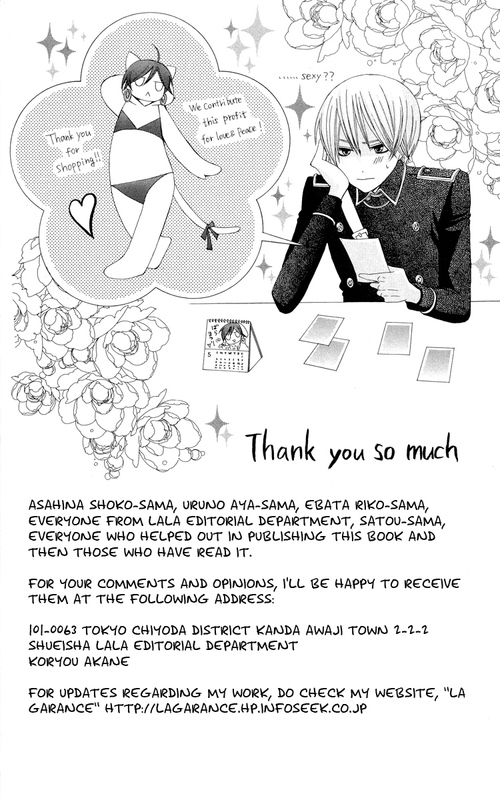 There's contact address on the volume 3 thank you page if you want to write a letter. If you do send thanks to Ogura-sensei, make sure you buy at least volume of the manga in Japanese. It would be rude to thank someone for something you didn't pay for. Purchase information is here. I will be getting volume 4 and if there's any extra material I will translate it. Next up is Pika Ichi chapter 3! And here is Magnolia chapter 3! What is to become of our poor "prince!" What's up with that Vincent creep!? Dude! You look like Paris Hilton! And why does Lover-Boy insist upon kissing Ayato!? Links to order Aria Magazine (Amazon Japan) (Akadot) -- Support this magazine and the artists with your money! I would hate to see our new favorite series die before they're done. Also, I beg you, though you may have the best intentions in the world, DO NOT UPLOAD OMARI'S SISTER OR HYPERPARFAIT SERIES ONTO MANGA AGGREGATION WEBSITES. IF YOU TRULY WANT TO SUPPORT THE ARTISTS AND MANGA IN GENERAL, BUY THE BOOKS AND THE MAGAZINES. Next up! The ZHD finale! Here's an uncharacteristic bit of poor taste and stupidity to enjoy. Yeah, the guy's naked except for a muffler, but it's all in good fun and PG-13. Trust me, it's a sweet little story! Magnolia Chp 3 will be released very soon! Update 01/04/2011: Minor change to page 29 that doesn't impact the story. The change was made to be consistent with the first "Lily" extra story. Update 12/5/2010: Minor change to the translation of page 8 that does impact the story. Ayato's father is the only one who doesn't like Vincent. Here's Magnolia chapter 2. Chapter 3 will be released on Monday at the latest so you won't have to suffer the cliff-hanger for long. Starting at chapter 3, Magnolia will become a joint project with Hyper Parfait and Pika Ichi will become an Omari's Sister only project. 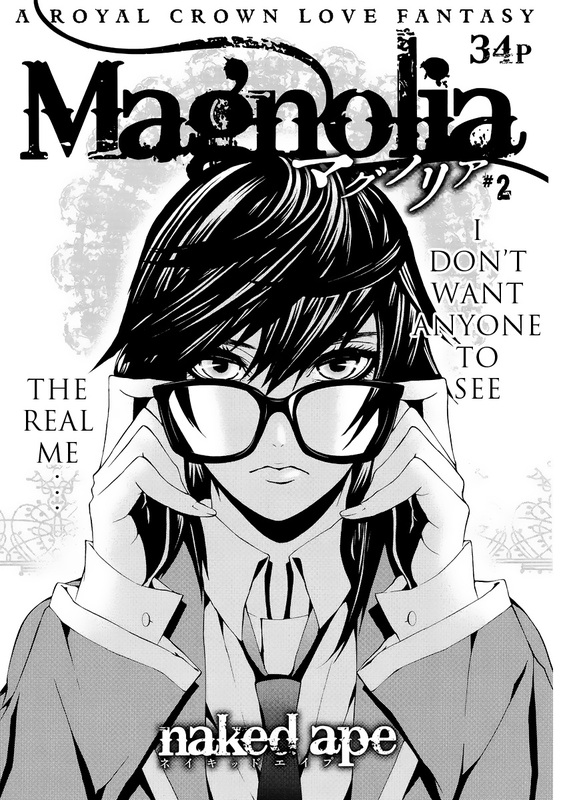 The highly stoopid one-shot "Hidaka Muffler" will be released with Magnolia chapter 3. 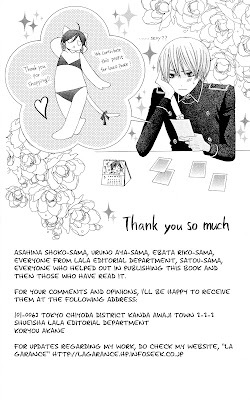 After that comes the final chapter of "Zettai Heiwa Daisakusen" along with some extras from Volume 3 and then Pika Ichi! Wow! 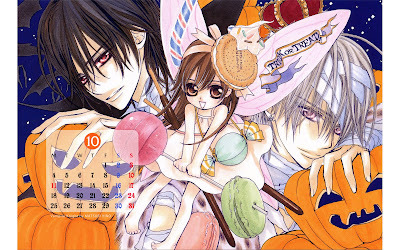 There are two beautiful introductory pages in this chapter and this series will appear on the cover of Aria 12! I can't wait to see what Shouto-sensei comes up with! This is a fun series so far :). There is something I'd like to comment on about this chapter, but I'll wait a couple of days for people to read it so I don't spoil the chapter for everyone. 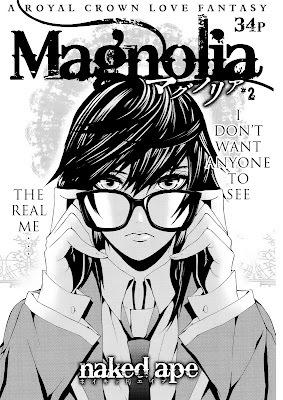 Next up are Magnolia chapters 2 and 3. 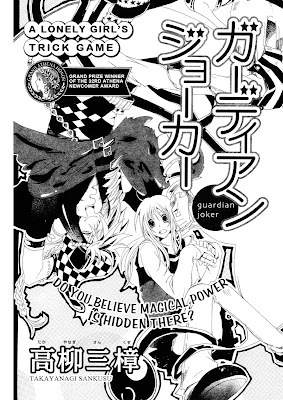 Update: The special Halloween one-shot will be "Guardian Joker"
I'd like to do a special story for Halloween, so send in your one-shot suggestions and I'll go digging through my bookshelves. Also, you can start sending in suggestions for Christmas or Winter themed one-shots. The first title page was so pretty that I couldn't help myself. I did quite a few things to make it look like a painting. I'm quite pleased :). Ordering Information for "Zettai Heiwa Daisakusen"
As I promised in reply to an anonymous commenter, here is some information so you can support the author by purchasing volumes of "Zettai Heiwa Daisakusen." First of all some cover images so you can make sure you get the right thing. Be aware that Amazon Japan charges $30 shipping for the first item and them $3 each item after for International shipping. Yes, it's expensive, but it's gets to you within two days. You can also purchase through a　third-party seller on Amazon for $12 shipping per item. Yes Asia offers free shipping in the US for purchases totaling over $40 dollars. In light of this, it's best to purchase multiple items if you decide to buy from these sources. Also, if you have a Japanese bookstore in you area, you can try purchasing it or ordering it through them. Depending on the chain, you may not have to pay for shipping. I have the books and there are some nice extra color images on the cover flaps. I will post information for purchasing volume 4 when it is released.